After shopping around on Craigslist, I kept noticing a model of trailer that looked similar to what I wanted listed new for $1060. That was the going rate for most of the used ones listed so I went for it. I called them up in Georgetown (A Big Tex Trailer dealership) and went to pick it up. In The Small House Book, he talks about cutting all the railing off above the floor. I’d talked to a couple of my building minded friends about it and we thought we could probably do it with a metal cutting blade on a skill saw. I priced those blades at around $50. The trailer company said they could cut the railing off for $75 and it would take an hour. The metal worker used a blow torch as you can see in the picture below. After watching him, I can’t imagine trying to cut all that metal with a skill saw. The blade wouldn’t have reached through the pipe top sloping angle in the back. With a new trailer, I get two new 3500 lbs axles. I got the tire pressure and lights checked. Everything on it works and I get a new title. I sure was proud driving it off the lot. It’s the first building step to completing the tiny house. The base price was $1060. You won’t see that model on their website because it’s brand new so they can be more competitive in that feature range. I believe they call it the 45SS. With the railing removed, the taxes and fees, the total came out to about $1300. Once I got it to the building site, I pulled it straight back in. Then I detached it from my truck and set it on a hand dolly. It was probably too much effort for one person, but I got it turned around so that it will be easy to pull out once it’s completed. This entry was posted in Supplies and tagged tiny house trailer. Bookmark the permalink. That must be an exciting moment–like a painter looking a big, fresh canvas. Yes, it was an exciting time. I think the first few weeks, I was building on adrenaline alone. Yes it was. I felt like a proud new owner. I just bought a Big Tex 70pix18. I have cut the vertical posts. I notice you also have/had the angle iron (trailer not completely flat ~L shaped if looking at the iron from the back~ with wood between). I have the plans for a Fencle, purchased. Now I’m kind of nervous about that L. How do I build the subfloor around it b/c of the metal? Should I go with 2X6′s (instead of 2×4′s) and build around the metal and shave off the couple of inches in height somewhere else??? (that makes me nervous) OR do I cut off that vertical part of the angle iron all the way down the length? 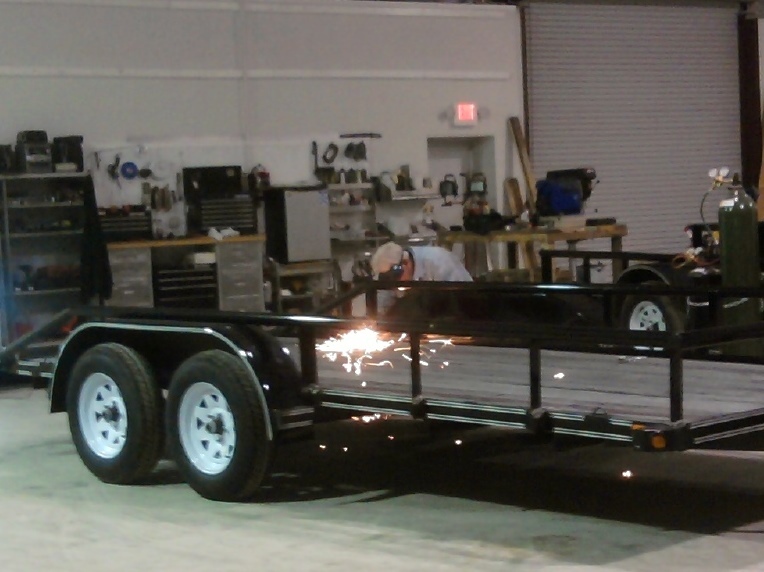 Will this compromise the integrity of the structure of the trailer? 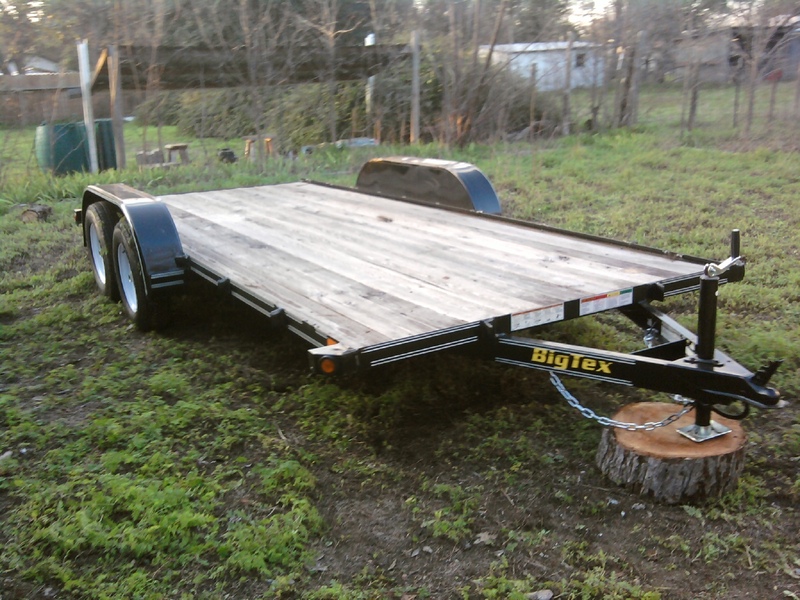 My thought is it may not b/c the weight will be equally distributed around the trailer. I notice this post is now almost 3 years old….hoping you see this and can answer soon. Please email me if you see this as well so I know to check this site. Thanks so much in advance! A picture would help. I’ll send you an email. Otherwise there’s a Tiny House yahoo group where you could get a lot of feedback instead of one opinion.